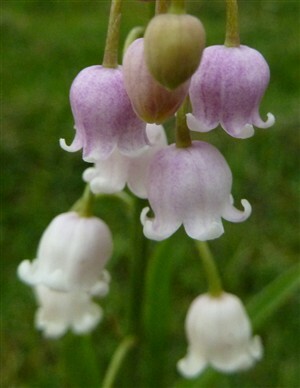 Convallaria majalis Rosea (Pink Lily of the Valley) The rare and sought after soft pink flowered Lily of the valley. Scented and beautiful for semi-shade to full shade in a moist spot. Excellent ground cover in this position. The individual flowers look like they have been made out of finest porcelain.